Quick update/note – July 27th, 2015: Many of you have asked when my review of the 4iiii Precision Power Meter will be released. While I received a number of test units back this spring, I’ve run into a bug/issue that 4iiii is working to fix. Said bug impacts my ability to get any accurate data out of the unit. Not all users have this problem, but rather it appears to be dependent on my specific pedaling style. As a result, I’m waiting for the bug to be addressed (which 4iiii says they’re working on) before spending the time gathering data for the review (since today’s data isn’t useful). As a result I’ve tabled the review until that point and are working on other power meter reviews. Hopefully they’re able to sort it out. 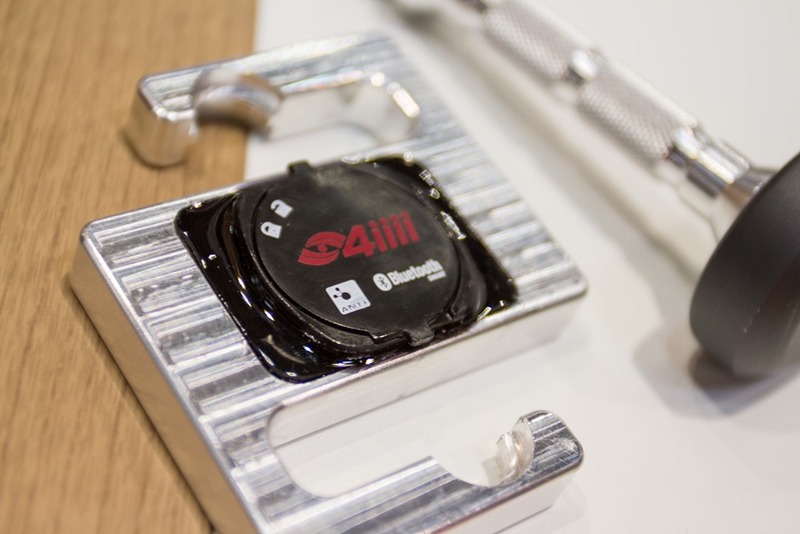 Last week at Mobile World Congress in Barcelona, 4iiii was present at the show as part of a larger Alberta section within the Canadian companies pavilion. While there, they had their Precision power meter and their pods on display. I took the chance to catch-up briefly with them, and have the low-down on where things stand. For those that have been following their weekly updates (primarily via their blog), some of this will be familiar to you. Because I’m rushing to catch a flight, we’re going to go with a bulleted paragraph style. Current Shipping Time Frame: This week. The left-arm side units will start going out to consumers this week. As many of you remember, right now they’ll be doing the installs on your crank arms that you send in (or buy direct from them). This is a temporary measure (sending them in), and as has been communicated to all purchasers thus far already, they’re sending a box to you with a pre-paid shipping labels for your crank arms – even for folks outside the US/Canada. The global round-trip timeframe is roughly 7-10 days. The Reason for the initial delay: Regulatory issues with shipping glue. Yes really, glue. No, not Elmer’s, but the specialty glue that’ll keep the unit attached to your crank arm. The glue they had developed specifically for this product, and planned to use within the DIY installation kit exceeded the allowable gram shipping limit direct to consumers due to the substances within it (in a pre-applied state). The Glue Plans: They’ve been testing new glues, which should get them around the shipping issue. When attaching a power meter to a crank arm though, the most important thing is that it doesn’t budge – even a tiny bit. Thus, finding the right glue is a significant part of the work effort. That entails testing said glue to ensure pods don’t fall off or physically drift on the crank arm. They’ve made it really clear to me that they don’t want to be in the long-term business of dealing with round-tripping cranks to people. Instead, they want that to be back to their earlier plan of self-install, or bike shop install. The Drive Side Timelines: They’re currently working through production of the mold for the pod components on the drive side. There’s no changes to the actual sensor portion, just the piece that shifts the battery compartment out. Nonetheless, the mold creation, plus production/etc puts them into May for the drive side to be available. As with previous, you’ll be able to add the drive side later to the existing left-only side, forming a dual-sensing pair. And what about Carbon cranks? They’re still working on that and looking at carbon fatigue and drift there. The current plan is to start shipping by end of year on carbon cranks. The challenge remains that different carbon cranks fatigue at different rates, even with a single brand/model family. While the calibration kit can account for that, both short and long term, they’re focusing on more testing to figure out how best to provide usage guidance on carbon. 1) They’re shipping out a left-side unit to me today or tomorrow. It’ll be pre-attached to the crank, just like the pre-installed cranks they’re allowing people to purchase today. 2) I’ll use that for the next while, in a left-only configuration. This means that data will effectively look similar to Stages though, and wouldn’t necessarily match dual-sensing data since it’d be left-only. But, it gives me a chance to see how that works in that configuration and ferret out any issues nonetheless. 3) Once the drive side (right side) becomes available, then I’ll add that to the ‘system’ and form a complete dual-sensing pair. As doing so, I’ll thus have experience with both left-only, and dual left/right, as well as ‘upgrading’ the system to a dual pair. Once all those things are done, I’ll publish a review. That is, unless for some reason the right-side timelines drag out too long, in which case I might publish the left-side first and then go back and update with right side. We’ll see. I’d prefer to only write one review. In any case, I’ll likely publish snippets of data along the way for folks to look at, like I usually to. 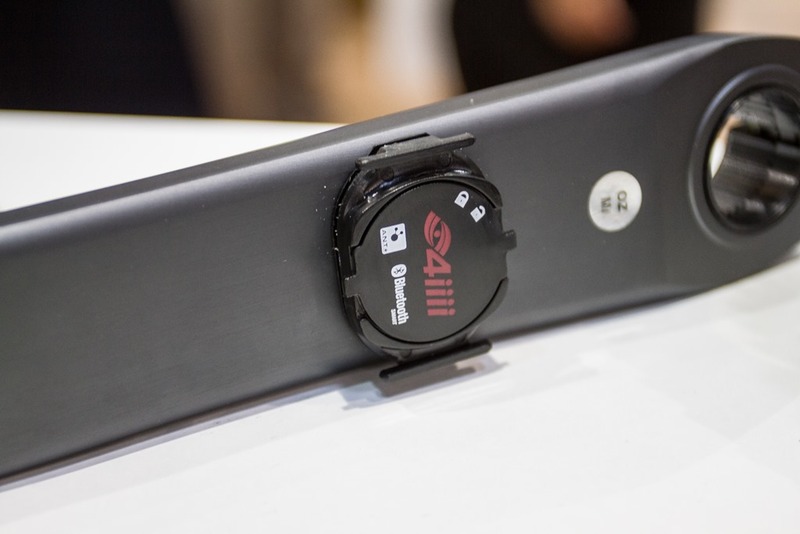 » Cateye introduces new power meter…well…sort of. Silly rules demand a silly solution. Mail out the glue in two envelopes. My very first thought. And with us many others i think. So it has to do with the percentage of substances within it instead of the absolute amount of grams. They begs the question – why not have a “shop-installed” option with the good glue? I’d happily bring my bike to my local shop (not a-typical) and have them do it. It’s something I discussed with them as well, and it’s being looked into. SO looking forward to this review, as well as the new era of cheap precision power meters… keep it up rainmaker! Thanks for the update, very useful! Having ordered both sides back in November, this is the first I’ve heard of why they’re shipping left-only first, and that I won’t be receiving mine until at least May. I’ve got to agree. 4iiii’s communication has improved massively with the weekly updates but despite mentioning that they’d start by fulfilling left only orders they didn’t mention why, or how much of a delay dual sided orders would experience. Take your time 4iiii’s and get it right. Too many companies rush things to production and get burned. If this power meter works as advertised it’s going to be interesting to see where the other players (Stages and Powertap specifically will stand). Looking forward to affordable power! I’m sure you’ve already thought of this but could use left only Vector to compare to the 4iiii data to see if they track together. how does one say the company name? Should we expect some cheaper chinese string gauge sensors soon? Dan is pretty close, just simply says it like: Four eyes. Could they get around the glue issue by providing bike stores with the glue? 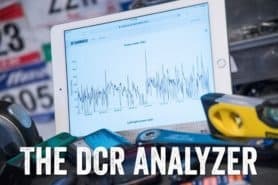 Where is this new era of cheap precision power meters? 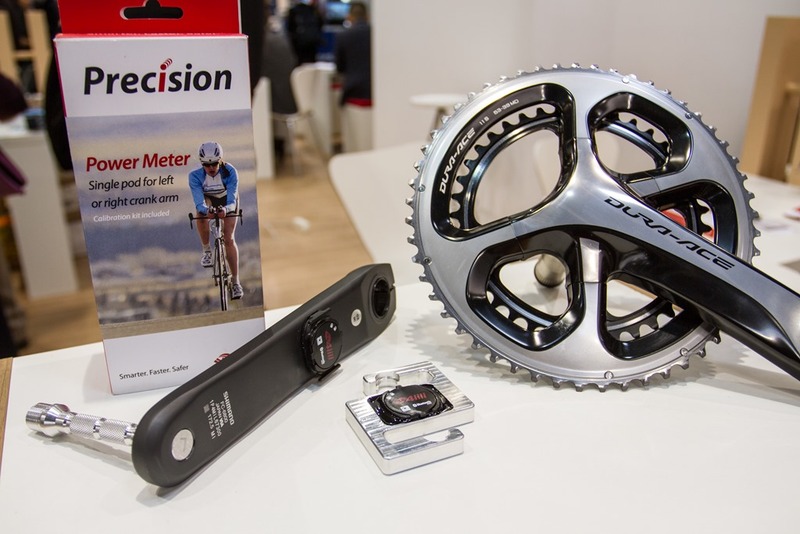 Precision Power Meter PM-100 has an import duty rate of 4.7% and a VAT rate of 20% . While interesting, it’s probably worthwhile noting that they haven’t yet setup a UK distributor (I don’t believe so anyway). So they’re no different than Stages was before they setup their UK distributor. 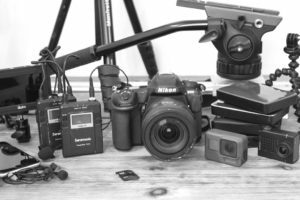 UK distributor is Pinpoint Electronics FYI. Chatted with Rod who runs it at the London Bike Show. He’s looking at £350 UK price which unfortunately is about normal $\£ when you factor in costs and extra mark up. Benefit is UK contact if anything goes wrong I guess. Reckon that still makes it very cheap. Yes Stages isn’t much more but I like the fact there’s potential to upgrade to dual side. Thank you, it’s good to see price pressure being put on the power meter producers. They are overpriced for what they are. They would sell a lot more of them if they were cheaper. There is a 10% discount if ordered via Clever Training. Potential for duty and taxes not to be applied at UK customs (although unlikely). Looking at the new spot on the crank arm where the drive side pod will be located, i still think it’s going to be darn near impossible to replace the battery without removing the chain rings. I’m sure 4iiii has thought of this. Why not move the pod closer to the pedal? Bending stresses in the crank arm are significantly lower further away from the spindle. I’m guessing it becomes increasingly difficult to measure power accurately the further you try to move the strain gauges away from the spindle. I would like to see the non drive side review sooner than later. Could you not just paste it all together after you get the drive side data. 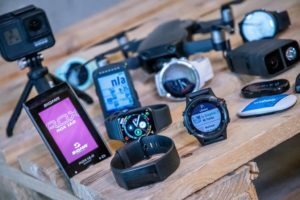 I know you have lots to do but it would be valuable to compare it to similar one sided devices, especially since it will be a one sided device for a while. Did you happen to already post measurements of this? It supposedly is too wide to fit my bike, but it looks to be the same size as the (newer) Garmin cadence sensor. Ah, you did, sorry. Is it still 9mm of clearance? I’ve already placed an order for a pre-attached left side only, so I am very much looking forward to your initial thoughts/review on this. Hopefully you will treat us to a brief non drive side review before you finish/begin testing the drive side! Fingers crossed! I liked the original self install idea. Now it kinda seems like Stages light. And what could possibly be in the glue that can’t be shipped? Very strong, volatile solvents, that are needed to stop the glue gluing itself into a hard lump! I have been thinking about selling my Powertap Wheelset to upgrade to the dual sensing setup…I look forward to your review as usual! Ray, do you have any info on the pedal based and the apparently chain ring based PM’s that PowerTap is showing in a new promotional video? Thanks for the update, I’m left side only and 200 stars merging in line. I haven’t been notified of an ship date. This gives me hope it will be soon! Would this be compatible with a ROTOR 3d+ crank which is fluted? You’d want to check with 4iiii’s crank listing on their site. I would believe that it won’t be compatible. 4iiii initially had alloy Campagnolo cranks (Athena, Veloce etc) listed as compatible, but after making them aware of the fact that the insides of those crank arms are fluted they were removed from the compatibility list. Thanks for the update, I wished they explained earlier the exact reason why left-only were first. In your write-up, you mention that you can buy the crank arm direct from 4iiii instead of sending the crank arm in, but I don’t see this option on their website. Did I misunderstand? Seems to me that companies nowadays think that everybody is incapable of getting some glue from local store. I don’t buy their “special developed glue” story. I believe that there is a lot of products on the market that work well for attaching 4iiii powermeter to crank arm. Come on 4toomany”i”s, do some testing with available glues from world known brands, make a list of few glues that work with your products and stop being silly. “Powermeters will be posted in December 2014” Yeah right. And please don’t feed me with “it is a special glue” thing. It isn’t, it’s just a load of bull. 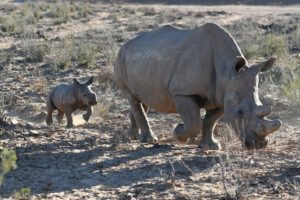 The bonding process is definitely a genuine issue and just going and buying some glue would be a disaster for them in terms of pods falling off. Do you honestly think, that they developed their own glue in their laboratories? And that it contains some magic pixie dust? I think that they tested with different glues and found one that works. They could and should publish results for glues that work well and I would be happy to buy it for myself in my local store. Problem solved. Cheap easy and effective. They will be working with glue suppliers to find the right mix. And if they have any commercial sense they will get those suppliers tied in to confidentiality agreements. Building a strain gauge is something every power meter manufacturer can do. Making one that can be retro fitted this way (either by them at factory or you and me at home) is their USP and the main reason they can hit the price point. Why on earth would they do all that development and just give the secret away for everyone to use?! Think about Coke, their recipe is one of the biggest guarded secrets out there. My point exactly. Why share if you can profit. So, it is just a load of bull. Funnily enough most companies have a desire to stay in business which requires income and profit 😉 Two things that rapidly disappear if you give all your key R&D to your competitors. Well, I don’t really consider glue as key R&D component for their powermeter, but some obviously do. 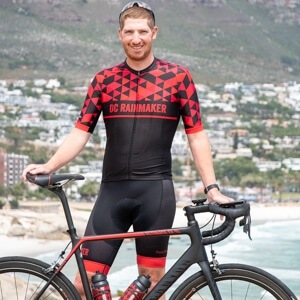 I don’t expect that they would share how they calculate power data from their measurements taken from powermeter sensor and provide me with exactly the right component list, as then I would be able to build powermeter for a fraction of the cost. The main thing and cost for R&D with powermeters is making good model for translating sensor measurements to power figures, taking into account various factors(material, temperature etc). Not glue, FFS. Don’t forget that the glue will affect the thermal properties and it’s characteristics will also change with temperature much like the crank material that you’re trying to measure deflections in. With the scale you’re trying to measure with these devices that will be just as important in the calibration process. Up to a point, I concur. I think that there are available glues on the market, from different companies that would work in defined parameters. If you carefully read my initial post, you can see that I have already written that they could post a list of compatible glues. I think that it should not pose that much of a problem as they are trying to show it, and you could consider it a good costumer care program / costumer service. Yup. Also, any hysteresis in the bond will result in greater error in the power measurement, something that a PM company doesn’t want. Likewise, the last thing a PM company wants is for their PMs to fall off. That aside it’s easy enough to say, that requiring a certain glue is “Bull,” but there’s really no merit to such a claim without knowing how many adhesives were tested and without having the data from said tests in front of you. Conjecture doesn’t a fact make. Indeed. For their particular design, getting the right glue is arguably THE most important design decision they have to get right. As you noted, aside from falling off, there’s also movement to worry about, temperature shifts (high and low), as well as impact on the gauges and the materials of the crank arm. As others have noted, the process of testing and finding the right glue that lasts a long time is a hugely time consuming process. From a business standpoint, they don’t want to make it any easier for others to figure that out. The lower-cost power meter market will be highly competitive over the coming years, and ultimately getting the right glue is a key factor in the company’s ability to have costs lower (versus a ‘baking’ solution like Stages which has higher costs). glue debate notwithstanding, how do we get buy this PM in the UK; from UK disti [if yes then who is it] or direct from 4iiii? and more importantly… DC when can we have your review? I believe above in the comments they’ve identified a UK distributor, but I don’t think they’re listing yet (I could be wrong there though). Yeah it’s Pinpoint Electronics. They were at the London Bike Show with some dummy pods and packaging etc. He’s just waiting for 4iiii to release stock which I’m guessing will be after they clear the backlog. His aim is to set up accounts with bike shops as he’s an importer/distributor. No he didn’t have anything firm. He’s said he’ll email people who’ve shown an interest so I’ll post on here if I hear owt. I remain really shocked that Pinpoint Electronics have been chosen as the distributor, and that seems a massive own goal by 4iiii to me. 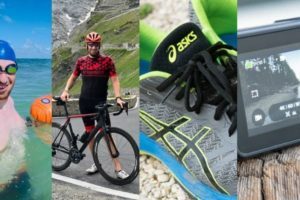 They have a product that is potentially hugely desirable, and could have gone with any of the myriad bike distributors with a well established network of retailers. But no… they’ve gone with a non-cycling company no one ever heard of, who can’t even build a decent website. I’ll be buying from the US! Ray, I want to chime in to so encourage you to post a left-only review as soon as is practical rather than waiting for the full left+right option. I’m certainly interested in the latter, but it sounds like waiting might cause a substantial delay and I, like others, am super-interested in this PM and place enormous weight on your reviews in making purchasing decisions. Thanks for doing what you do. Do you even believe they will ship that? They have been playing with clientes the whole time. First it was supposed to be ready in October, then December, then February at worst the end of February… We’re in March and still no powermeter for anyone. The communication has been awful, they started the facebook updates because it got to the point where it was almost a joke but still if you read all of them you see they say nothing, they just write enough to keep clientes happy but essently what it says is we made no progresso come back next friday for updates on no progress! Shame i wasted 4 months without powermeter because of this company. I bought a stages 2 weeks ago and it only took 2 days to arrive, all the quality of training i lost because of this. Not sure where October came from – they never said they were shipping in October. But, like anything else – as I always note with power meters (and you noted too), you can either train today, or keep waiting for what’s new. DC, one more vote for asap left only review. I am shore you are aware how many people are whiting your review. Some just to make sure that thy did not make mistake by ordering, and others, probably thousands (including me and my friends) with credit card ready for ordering. I would even suggest initial quick review, and afterwards in dept typical DCRR. Appreciate the thoughts. I’m leaning towards that option. Rainmaker in your honest opinion do you think they’re serious company? I trusted them in the beggining but with all the delays lack of communication i got tired of that. 4 months of delays/setbacks is no joke. Wish i would made na effort Money wise before and went with the stages at that time because i was forced to go with it now. And i don’t regret because each day passed will be another day that i didnt waste. I think you’re over thinking the delays. 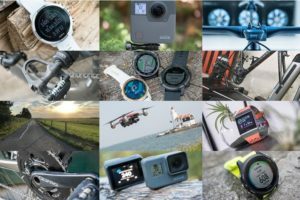 Four months is nothing in the power meter world, some of these companies are 1-2+ years in on delays (Brim, SRM), and others have been there too (Vector). In the scope of that, waiting from December till April isn’t all that bad. But again, like any device – you can buy what’s available now or wait and not train. Okay i guess i’am just unexperienced in this world. For sure i won’t fall for something similar ever again. May I suggest you never pre-order anything Mark. Delays happen. Would you have preferred to get a half working product in December? Or would you be moaning about that as well? They couldn’t foresee the issues, and announced release dates in the best faith. These things happens. You can’t hold them responsible for your 4 months of lost training though! Anyone already got the chance to use it? Seems strange of not finding any review. Even a personal one..
Any pro tour team is using it? I mean cmon at this point its obvious thats its not. They had trouble with the glue and it wasn’t with shipping because that’s easy fix, it was glueing the pod to the leg. They dont answer mails because clints will not like the answers they have so they think saying nothing its better. Thats what they’ve been doing the whole time, eventually they got pressured to do the friday updates. I got notified that my crank is with the installation team and was asked to supply frame measurements, so something is definitely happening. I preordered back in the fall, but switched to a new crank from them, wanted one for my CC anyway, so why not. No downtime, no drama and no reason not to train, even without the power meter. It’s a new product and a small company, so I kind of understand this. I also send them a couple of emails in the last few weeks, but never got an answer. I assume they’re overloaded with incoming emails and are just trying to cope with all that extra work that the shipping of boxes and pod installations caused. I have a Polar V800 and an Edge 510 waiting here, so I’m ready. Thanks for letting us know, it’d be great if you posted again when it arrived. If you don’t mind my asking, when did you place your initial pre-order? I’ll post when I get it. I assume it takes a couple of weeks at least, with installation lead time, transportation to EU and customs delays. I think DCR will take care of the review part 🙂 I need it to send data to the V800/Edge 510, but if that works out and the installation look solid, I’ll get another one for the drive side, when available. The installation team answered my emails promptly, btw, when discussing the details of delivery. FYI: I’ve heard from them this evening that units did ship out to some users today. FYI: My unit shipped out yesterday, I have tracking numbers, and it currently shows in Memphis for arrival tomorrow in Paris by lunch. Nope. Haven’t heard anything, asked for a tracking number, but didn’t get a reply. Why they would say it’s with the installation team and ask for shipping details, without shipping it for over a week, I don’t know. Maybe it’s still in line for installation or was shipped and forgotten, I can only speculate. From what I’m gathering, they’re currently running units through a bunch of testing before sending out. Though, not sure on the exact timelines. Or, perhaps they’re just backlogged. Ok, thanks again. I’m actually fine with this, have been waiting for so long that an additional day or week is no big deal. More tests is a good thing, rather have that than a faulty product. Now in Memphis, delivery in EU tomorrow. Have a hard time believing that, let’s see what the customs say, they might want to hold on to it over Easter. Looks like 4iiii didn’t save on postage though, 2-day delivery Can-EU, great! ThomasR did you order from clever training or directly? Hi Thomas, how are you getting on with your Precision? No problems while using with a 510, but 1st time power user so I really have no reference numbers. Waiting for DCR’s test and waiting for 4iiii to publish iOS app and firmware so I can update the Precision to work with my V800. Thanks. I really hope you find the time to do at least a quick review of the production pod and firmware asap. Seeing how Precision compare to more established pm brands would be most interesting and nothing I or other regular users can do themselves. Yeah, I’ll likely do some sort of preview. Got it today! Had to pick it up myself at the FedEx depot, would have been delayed over Easter otherwise. Installed it and did a quick test on the trainer, see thread on Slowtwitch. Pics included. Keith (the inventor of the Precision) just posted on the slowtwitch thread that ThomasR linked to (the post above this one). He goes into pretty gritty detail about how they determine their error (< 1%), and how this compares to what other companies are doing/saying. Interesting reading, if a bit dense. Right, as the active temp compensation apparently will not be implemented in a few months, I was hoping he would answer the calibration/zero-offset question. hi lee, do you have any idea when you can expect delivery? And literally just thus second had a reply from them on my question of install times. They’re quoting 2-3 days in the factory. Judging by other comments the Fed Ex is only taking 2-3 days each way so should be 1-2 weeks from when I send it hopefully! Expect some sort of ‘quick look’ type post early next week. Cool, I look forward to it. I noticed Precision is not in the 4iiii app yet, so there’s no way to connect to it and update the firmware. A sw version of 0.001 certainly begs for one, ie. if the 510 reports it correctly. Not that I have run into any problems or anything, but still. They’re about to release their app (Android first if I remember correctly), next week. It’ll allow for updating, as the software needs to be updated to be compatible with Polar’s upcoming power meter update for 3rd parties. Ok, good timing, I do have a V800, but was waiting for that Polar update. No 3s/10s/30s average on the V800 btw, hope they fix that too. There actually is, “avg power” is for the entire session and “power” is a rolling average that can be set by pressing uper left button. Can be set to one of 1/3/5/10/15/30/60 seconds, but only one. Does it allow to see power output too? 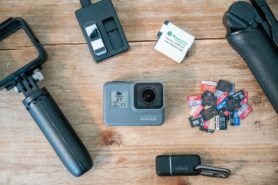 If not can you tell what are the most cheap cycling computers that with precision? I suppose any ant+ will do the trick, right? I like Garmin edge 500 but it’s still a bit too much for me the powertap joule 1.0 comes at half price and it should work fine right? Do you recommend any other cyclecomputer below 100€? Personally, I don’t know why there’s such a fuss about removing chainrings in order to replace a drive side battery. Is that so hard once every 200 hours? I’d be taking my drive train apart to give it a proper cleaning more often than that, anyway. Ray – if I don’t wait for the UK supplier (pinpointce) to be supplied with units… and order direct from the USA, I assume there will be a penalty to import the item. My question is – will I have to pay customs either way again when I send my crankset back to the factory via FedEx for the installation? Is there also a separate charge for the carrier? No. On the EUR to CAN side, there are no import duties for you. And on the US to EUR side, they declare it correctly so no duties are required. Of course you have to pay VAT and import duties, as allways when ordering from outside EU for that kind of money. Depending on country it might slip through customs without payment, but that’ll be a mistake then. I got my PM last week. So excited, but it did not pair up with my 1000 or 810. Called Tech support, and after various iPhone pics and texts, it was determined all the components were good as were all 3 batteries tried. It had passed calibration and inspection. It was sent back for a replacement on my DA9000 crank. Hope they can remove it and replace it without causing damage! I have 2 Stages PM’s, but I really need right sided info since I have an artificial leg on my left (BKA). My FTP is based on my peg leg; I want to know accurate numbers on my right without costing me another leg…. So I am excited have this option cheaper! It will be good to see your data Ray. Appreciate all the work you do. If you go on their Facebook page there’s quite a few mentioning it in the comments on their Friday updates. I’ve had mine about a month now and have not experienced any battery issues. It’s been mostly normal riding, though I did ride in the rain for about an hour the other day. How many hours do you have on it? They’re mstly reporting issues at 20h or 30h but there’s also some with dead battery much sooner. I have about 25 to 30 hours on it. I’ll post on here if any battery problems pop up. My battery died today! So after about 25 hours of riding it bit the dust. I’ve got an email into customer support, so I’ll post here what they have to say. I threw in a new battery and everything is back to normal. My battery also died after approx 20hrs of riding ! All good once I replaced it but hope they update the firmware soon to fix the problem. It would appear that it is not going into sleep mode when not in use. Hopefully that’s the problem. I don’t want to have to ask for a refund after all this waiting. 1) After I replaced my battery the power meter stopped communicating with my Garmin, or at least that’s what it looked like. Actually, it was simply sending 20k+ watts to the Garmin, which caused it to freak out. To fix this, I had to download the 4iiii app on my phone and reset and save the factory calibration values. This fixed that issue. I’m no engineer, but that doesn’t sound good. On the other hand, a ten pack of batteries on Amazon is only like $5, so I just ordered a bunch and figured I’ll slowly go through them until a proper fix rolls out. So let me get this right – it’s not a case of the unit not going to sleep when not in use. It’s that when it is being used it is using too much power ?? Doesn’t sound right to me. I’ve started removing the battery when not in use to see if it makes it last any longer. Sorry, there’s I think 3-4 4iiii’s posts I have now and so I’m a bit scattered on which ones I’ve replied to. In short, per their weekly update last Friday, I’m part of the small group of people impacted by what they believe is a software bug. As such, I’m basically on hold and have moved on to testing other items in the meantime. Does any of your initial testing point to low power readings? Mine is consistently 25-30 watts low, even after calibrating and re-calibrating. I wonder if that is part of the accuracy concerns they are working on. Greg, what are you using as your reference? I’m concerned because I need this to be consistent with my other power meters. I have yet to see a review that shows Precision to be accurate. I probably should see if I can cancel my order. Of the two power meters I’ve recieved, one is having a battery drain issue and the other one looks like it is going to have to be returned to 4iiii because it is reading way too high (like 600+ watts whilst gently pedalling) !! Not good enough really considering they were both factory installed and calibrated. Greg – My issue is lowness, of approximately 10% or so. It’s the issue Wahoo is referring to (the exact amount will vary). I really hope they can do something about the battery issue, 25 hours is not much. They still say 50-100 hours on their web page, btw. Yeah, tried all those steps. Just sending another two cranks off to 4 iiii for the factory install !! Hope they get these two right !! Ray, how can a small group be impacted by a sw bug, if everyone use the same software AND supposedely same PM hw? Is this just an answer from 4iiii to calm users down, until they figure out what really is going on, maybe. I got my Precision about the same time as you, on the same kind of crank (6800), so I’m a bit worried. From my discussions with them, it does sound like they have a pretty clear idea of what’s going on – they’re just working to address it now via software. Right, didn’t really think that through, was thinking that crank type could possibly affect it, but so can obviously pedal technique in this case, making it highly individual. I think they should go public with this information when they do know more. Now you see random notes by users who feel that Precision is off, cancelling orders, not a good thing for a new product. A brief explanation of what happened and how/when it will be fixed would be enough. Not everyone reads your blog comments. Thanks again for the additional info! Not looking good at all. I’am seriously considering a refund before its too late. replacing battery all the time is not good option you can easily damage the cap even with care. The price for this system is half (for one side) of the price for a Stages meter. Yet, from what I have seen, I will buy a Stages meter. There does not seem to be even one easy step in the process of getting this, and it looks like the customers are guniea pigs who need to be OK with the “we are working on it” answer. I would rather pay twice as much. If I was one of the coanies with a higher priced meter already on the market, I would not rush to lower my price point yet. I completely agree with your first couple sentences. They’re making every step difficult, and also using their customers as beta testers. On the other hand, I’ve had mine now for about a month, and even given the option to return it and buy something else, I wouldn’t. At least cosmetically it seems like Stages = 4iii + $300 – 4iiii bugs. It seems entirely believable that in a few months most of the major bugs will be dealt with. Personally I’m willing to take the $300+ discount in order to put up with some bugs for a couple months. However I wholeheartedly agree that they need to work on their ordering process, it just seems like a total mess right now. I just got my precision but only spent about 20 min on my computrainer with it. It does seem to read a little low. Ray, do you have a good test protocol to compare the CT with the PM. I am using Perfpro to control the CT and the autozero function of PP seemed to get the values closer. A) Do some wattage step tests – usually starting around 100w, and in 10-25w increments up to about 300-350w, but obviously your output abilities will vary. I try to do each level for no less than 1-minute to allow for stabilizations. In general, it’s better to do slightly longer – like 5 minutes with 25w steps. B) Cadence sweeps – something like 50RPM up to however high you can spin (i.e. 150RPM), in chunks, such as 1-2min each. If you can do higher/lower, that’s ideal. In my formal testing I tend to do down to 19RPM (most PM’s break at about 19RPM, but it varies by unit). And then I can usually hold steady up to 150RPM, but have to ‘sprint’ to get above 150RPM for brief periods (around 170-180RPM is the highest I can maintain). C) Finally, do some longer steady-state levels. I.e. just set it for 200w and ride steady for 20-25min at a specific cadence (i.e. 95RPM). Note that for all of these, throw out the first 15mins of data on a CompuTrainer, as that’s what I’ve found is the typical warm-up time on the CT. For casual training you can get away with a 10min WU period for the PM, but if focused on accuracy, I find it takes an extra 5 minutes (15min total) until the CT has leveled off. I did as you suggested on my CT at home and also rode in a studio under the watchful eye of my coach and I can also confirm about a 5-8% low reading on both CT’s. I called 4iiii and got the same response you did. They did say an update should be out in less than a month. That said, It tracked the CT well and I expect that this is not a difficult fix. Finally got a chance to get on the CT after installing the update and am happy to report that after an hour ride the Garmin power numbers (NP and Ave) were only 2 watts different than the CT using PerfPro. The graph also looked like it tracked well. I will be in the studio tomorrow and can get a better look but I am feelng much more confident that the data is accurate. The goal of power measurement with accuracy and precision at an affordable price still seems elusive. Hoping our friends in Alberta can figure this one out eventually. I did my first ride today with it. Overall in the 3+ hour ride, i behaved as it should (showing higher values when it should, showing lower values when it should). Since i don’t have another power meter, i can’t tell if the it’s name corresponds to data accuracy. The only comparison i was able to made, was to the Sporttracks gps2power plugin results. The plugin estimates you power output, after your ride, based on speed/cadence/ascend/descend/ acceleration/wind data. On a 20min steady climb, 4iiii showed me 276w avg power and the plugin estimated 256w avg power. Overall the values seemed normal to me. I can’t comment on the battery life yet, but i will post here if i have a lower that expected battery life. You buy a powermeter supposedly because you want to know exactly how much power you’re doing. Otherwise you don’t need to it, everyone knows what it fells like to be at FTP and every one knows wat easy feels like. A powermeter without accuracy is basically useless. I don’t consider the comparison i mention in my post as a valid one. One measurement is estimated and the other is measured. From my point of view, i don’t care if it measures a few watts over or a few watts lower from other power meters, as long as it is consistent, so can have a reference and train accordingly. Wait a minute. Reading over these comments, now I’m to believe that the battery drain issue (which I have too) is related to the low power readings? Ugh…what the heck man! Neither one of these issues is a deal breaker for me (consistency is more important) but the two of them together are a real PITA! As one poster said earlier, I too had the PM go haywire when I changed the battery (wattage was in the 20k’s!!! ), and also had to use the app to fix it. Ok powermeter died at 20h as expected by reports… I changed battery and now power reading is absolutly crazy, in the thousands with no pedalling. This is fixed by update by android application? Problem is my android is low version, so basically i have no way to fix this problem? battery died today after about 45 hours! My Precision arrived a couple of weeks ago, and I like what I see with it. It paired easily to my Garmin 500, and auto-calibrates in seconds. I set the fields on on the Garmin to 3sec and 30sec average [per Ray’s recommendation]. Whether the power numbers are accurate, they’re intuitively “right” — they’re stable over a ride and I see immediate response to change in effort, in or out of saddle. Cadence also seems right. Best test was a ride up our local mountain [3500 feet gain over 11 miles], pacing with my wife who runs a PowerTap hub. I was consistently 20-30 W above her reading, reasonable for our difference in weight. Turnaround on the order was five days [less than 24h on each FedEx leg for shipment between Oregon and Calgary]. They also threw in one of their HR monitors to compensate for my 6 month wait. Haven’t ridden it long enough to see what battery life [or consequences of battery change] will be. But so far pleased. Received my unit installed on my Dura Ace 7900 crank. Also included was a free heart rate monitor for my long wait! I paired the meter with my Garmin 500 without problems. I calibrated the unit per instructions. This operation was a by confusing on the Garmin, which continued to display “Calibrating…” on the screen without indicating calibration was complete. I went ahead and rode my bike on my Kurt Kinetic Road Machine eqipped with Inride. I monitored my power via Inride and Trainer Road, as well as with the 4iiis unit and Garmin. I was pleased to see that power measurements from the two units were within a couple of watts of each other. I have no idea just how accurate either system is, but the fact that they are so close seems promising to me. I have nothing to say about battery life after having the unit for just a couple of days and one ride on the trainer. My battery died after about 27 hours. In terms of performance, in 15 commute trips, of the about the same effort and temperature and calibrated before each ride, i got very similar power data. They’ve noted in their weekly updates their working towards a battery problem. I advised them to simply send a small bundle of CR2032 batteries with each unit until then. It only takes a second to swap the battery, and you get low-battery notices. Also, batteries are cheap. You can buy a 10 or 20 pack online for almost nothing (it’s what I do). Hopefully they’ll sort it out. Hi Ray. Do you know how often the power meter stops reading right(starts reading in the thoushands? )? I have that problem after i had to change battery after about 25h of riding. I read that a using android app you can fix that. But i already tried with my phone and i got no luck, i borrowed two from my friends that were better than mine it still didn’t work. It said “file save failed”. I contacted them and they said that it could be either low battery(which was unlikely since it was the new that came in but i still bought newer ones and no luck) or it was smartphone compatibility thing. That worries me since those 2 smartphones had higher versin than android 4.3 and whille not being high end phones they were better than mid. Iam thinking you can only use the app with a high end smartphone like an iphone. Do you know people with sucess with other phones? if so which? Hmm, I’m not sure there to be honest. At this point, since the unit I had didn’t work for me, I haven’t really touched it since..April? I have had my unit since April and from experience, when your battery battery dies, you should a) Reset to the power meter to Factory Settings with the 4iii Application and b) Calibrate the power meter with your head unit before you ride. Step (A) isn’t always required but I just perform it anyways. Sometimes the pod will loose it’s factory offsets when the battery dies and sometimes it doesn’t. I supposed it probably has to do with how long and how dead the battery really is. I’ve just downloaded the firmware upgrade and we’ll see if this will prevent the unit from loosing it’s factory calibration. I uploaded the Precision 2.0 firmware tonight — supposedly this upgrade addresses the unit “waking up” on non-cycling movement. They tell you to put in a new battery on the upgrade, so time will tell. I had about 27 hours in on the first battery before the upgrade. I’m coming back from two months of injury+allergy lack of training, so it was interesting to see my progress in wattage — my alternative benchmarks were times of local hill climbs or circuits and heart rates. The Precision is allowing me to vary my routes, not worry about wind direction, and still get a good idea of my progress or lack of. As a pacing tool, it’s much better than trying to use heart rate — aside from a flat time trial, HR for me is definitely a trailing variable, and it also varies a lot from day to day. So far, the Precision is still a steal for my training needs. Why don’t they use rubber bands like the knew Garmin cadence sensor to attach it to the cranks? It seems to me that both pods are quite similar. And furthermore, you could use it in more than a bike. Received my Precision the day before yesterday, presumably with the 2.0 firmware. My Garmin found it right away, and the power numbers seem very close to my Quarq Riken. I’ll let you know how many hours/miles I get out of the first battery. I’ll see what I can do, but it’s going to be very hard to get much of an exact comparison. Originally I was planning on doing a direct comparison using the trainer but the gearing between the two is different (52/36 vs 53/39) so it would have been very tricky to get the ratios exactly right. I’ll leave that for someone else. Do be aware that because of individual left-leg differences by person, comparing to a full PM (like Quarq) won’t be terribly useful. You’d need to compare to the left channel of a power meter that can understand left/right (such as Vector, PowerTap P1, etc…). I’ve had my 4iiii power meter for a month now. Power seems to jump around a lot and also seems to read about 40-50 watts lower than it should. Granted, my assumption is based mostly on my experience with my kurt kinetic indoor trainer (virtual power), and the fact that my brother has nearly the exact same bike setup as me, is lighter than me, and he frequently reports power numbers to me that are 50+ more watts, when we ride side by side on a steady pace and climb. I weigh more, so should i have to push more watts to make that same climb at the same cadence and speed? Anyway, I’ve been emailing them back and forth, and they’ve blamed everything under the sun except the 4iiii power meter. We have yet to reach a solution. At this time I can either get a different power meter or be forced to reduce my FTP to coincide with the lower watts that my 4iiii power meter reports. Your stating a pedal style is not allowing an accurate reading. Is it a toe down style by chance? I have pretty big discrepancy between my Powertap data and Quarq data vs Precision data, but, I’ve been assuming my left leg (which has smaller muscle mass due to nerve damage during back surgery) was the culprit, now I’m wondering if we share a similar pedal style. Interested in the problem inducing peddling style too? The smoother the pedalling, the more suspect (reading low) the numbers get for me. Quad heavy slower cadence reads marginally higher than hamstring engaged 95 rpm on a hill with the latter at ~5kph faster. Is anyone using this with a direct mount/bottom bracket brake caliper? This is the main problem with the Stages PM with my bike. It requires me to purchase a diff caliper plus a little modification. I hope I don’t have to do this with the 4iiii. Since you effectivly get to choose where the sensor goes on the crank arm, you should be able to find a mounting spot that avoids hitting the brake caliper. I had no problems with my BB90 shell and beefy chainstay….Stages would have been impossible. How waterproof is this powermeter? Can it really handle rain days with no problems? Can you use water over it when you clean bike? I’ve ridden twice when it has rained for a few hours and also washed my bike several times. Continued to work just fine. You do have to take care to install the battery cover properly but its not difficult to do so. So…is the bug fixed yet? About to pull the trigger….but would like to understand where they are at with this…. I have found it to be reasonably accurate and it works well. The battery life seems okay but not great. I think it is a good value for the price. It should only get better in the future and is fine so far. Hope that helps. I have about 12 weeks in on my Precision, and really like it. It’s my only power reference, so I only care that it’s stable ride-to-ride, and responds intuitively to my power delivery. It does that great. I set 3sec and 30sec fields on my Garmin, and find it really helps both in pacing solo workouts, whether uphill, on flats or rolling — where HR was never realtime enough to guide me. I put a new battery in when the firmware upgrade came out, about 25 hours in, and have 50+ hours since without a problem of any kind. It appears the upgrade primarily keeps the unit from waking up when the bike is being transported..
My sense is that the recorded wattage IS realistic [I WISH it were lowballing me! ], based on uphill rides with my wife on PowerTap. I’ll certainly add Precision to my TT bike when/if they either make it compatible with carbon cranks or when/if I decide to replace the crankset to make the upgrade doable! I received my unit in early August, so I’ve been using it about 5 weeks now. Accuracy seems very close to the Stages unit I have on my other bike when doing FTP tests on my trainer. I had an accident the other day & it broke the battery door off the unit, but did no other damage. Contacted 4iiii by email & they overnight FedEx’d 2 new covers to me for free. Talk about great customer service!!!! I am very happy with the unit & would highly recommend it to those that train with power but don’t want to spend a lot of cash. ANY news on the (re)testing of Precision, it’s been close to 6 months since you found the accuracy problem. It has certainly made 4iiii look quite bad IMHO, no real info from them about how this “bug / hardware problem” is affecting current customers and when (or if) we will see this resolved. I get that they wouldn’t want to replace units already shipped, but where does that leave me. I have just lost trust in them. Maybe I have an accurate PM, maybe I don’t, is the feeling. They need to build back that trust, if they want to sell these. “Finally, we’ve got a super-quick update from 4iiii. In discussions with them during the week they believe they’ve nailed down and fixed the issue that I saw this past spring that prevented me from completing a review on the unit (I had updated my various posts noting as such back then). They had said unit on-hand at Eurobike, but they’re going to ship me over a slightly different one this week to match the crank-length of other power meters I’m currently testing (otherwise that’d result in wonky test results). If you have concerns about the accuracy of your PRECISION, we’d be happy to work through them with you. Send us an email to support@4iiii.com, we’re here to help. I got my Precision at the end of July. The battery died today after ~900 miles (550 or so on the road bike, rest on the rain bike). Assuming an average speed of 15mph we’re looking at roughly 60 hours of battery life). I just saw the updated firmware came out so I’ll see if my next battery lasts closer to 80 (they claim a 20% increase). Interestingly, the unit spiked a few times to around 2500 watts when the battery died, leading me to believe it had short circuited. It’s been very wet and somewhat cold here so I was concerned that water had seeped into it. When I got home and popped out the battery I saw a very tiny bit of condensation, but no water. Put in a new battery, fired up the garmin, and it recognized it right away, so all is good. I’ll try a firmware update later. I haven’t seen much mentioned regarding dimensions of the unit, anybody had experience getting it to fit on a Trek Speed Concept? Stages will fit but Pioneer Left clearance is too small.